When you are obsessed with outdoor gardening, then grow tent is the best way of enjoying and getting more out of your indoor gardening. Grow tent is a movable, reusable grow room made of a powerful canvas exterior and will usually have reflective material inside to boost the effectiveness of grow lights used inside as a lightning source for plants. Check this top 10 best grow tent selling online. 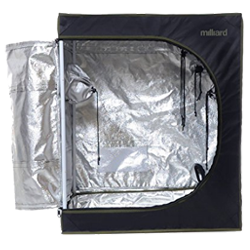 Grow tent comes with a canvas which covers the external part and has reflective interior material to increase the effectiveness of the grow lights. But grow tents come with only exterior materials, and we have to organize the interior parts to have the effective results of gardening, and thus it results in environment control. To do this, we should organize all the required materials in proper format and bring most out of the small grow tents. There are few interior materials which need to be assembled. This process is called as dialing in. 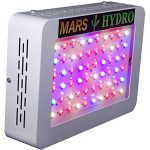 Grow lights: This is a very important material which provides the energy to the plants to process their nutrients. Care should be taken to provide the right amount of light to the plants. If there is too much light, it might burn the plants and too little light will result in under performance of the plants. If you are using smaller tents, broad spectrum LED lights will be useful. So, this is the main material which should be in the cart. Ropes: This will help to hang the grow lights close to the plants. A grow light rope ratchet from Apollo Horticulture is recommended. Ventilation: There is a lot of humidity or heat inside your room. To solve this issue ventilators are used. When the air is exchanged, the plants can breathe, and this results in balanced humidity and heat. It helps to keep the grow tent’s temperature in your ideal range. When the air is refreshed, it avoids the problems due to excess heat, mold and high humidity. Fixing a cool calculator will help to know the measurements of other materials inside the tent in cubic feet per minute. Odor Control: To avoid the smell coming from the plants, you have to install inline fans, duct, and carbon filter. This will help you to filter the air. Other Materials: There are many tools which can be used, but the following are the very basic ones. After listing down all the materials, it is time to organize each one accordingly. After purchasing all the required materials, you need to arrange them one after the other. Grow tent setup: There are many grow tents of various brands, but all have the same thing in common. This may take few minutes to complete, but if the tent is bigger, you have to spend more time to fix it. Grow light setup: It is a very easy step if you use the LED light bulb, you just have to attach the fixture to the holder, and you have a complete setup. If you are using the HID lights, then you have to attach the ducting to the fixture and the exhaust to the outside. Ventilation setup: When you want the environment free of smell, then you have to install ventilation. 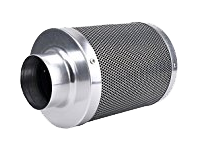 Use of carbon filter can filter the air. You just need to fix the carbon filter to the duct and exhaust fan. 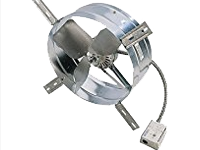 Fans are another effective method of pulling air. Care must be taken to make the environment cool. Dialing in: After organizing all the materials, go ahead and check whether all the conditions are balanced. This includes the temperature, humidity and air flow of the environment inside and outside the grow tent. Before installing the plant seed, it is better to check whether all the materials in the grow tent are balanced and satisfying. The most important things are to provide CO2 in the grow tent. This is not an easy task because you need to install a CO2 burner, controller, air conditioner, dehumidifier and a sealed room. Any malfunction can affect the growth of plants inside the grow tent. After making sure of this, you can start installing seeds inside the grow tents and water it regularly for the best possible results. What are the Benefits Growing in Grow Tents? If you are obsessed in gardening, you should probably try grow tents as it has a lot of benefits. Go ahead and give it a shot!